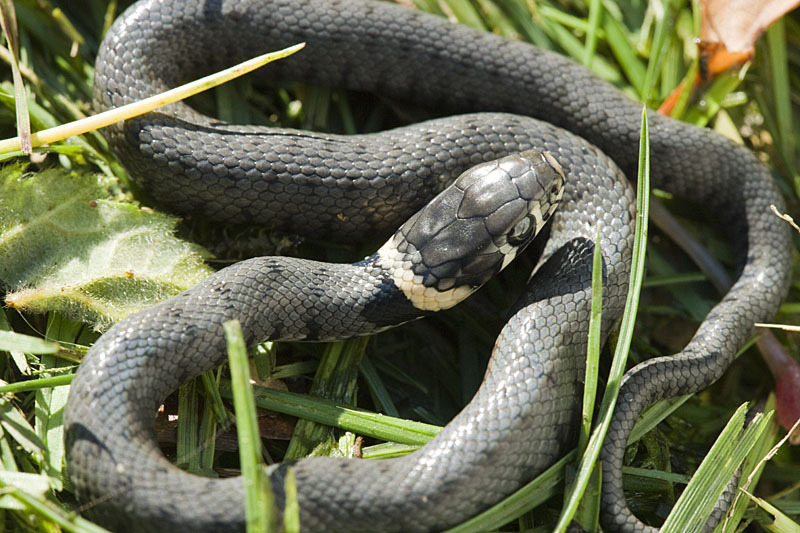 When a new species of grass snake was announced last August, reporting in the popular press was almost universally inaccurate. Most journalists, when hearing that the serpent had been divided into two species, must have excitedly jumped to the conclusion that the UK now has an extra species of snake. On the 7th August the BBC website reported that we now have four species, though they corrected the error on the 31st, saying that ‘the total number of snake species in the UK remains at three’. However it still contains the misleading statement that we have a ‘new type of snake’. There has been a division into two, but there is little overlap in their populations and within the UK it really only amounts to a renaming exercise. 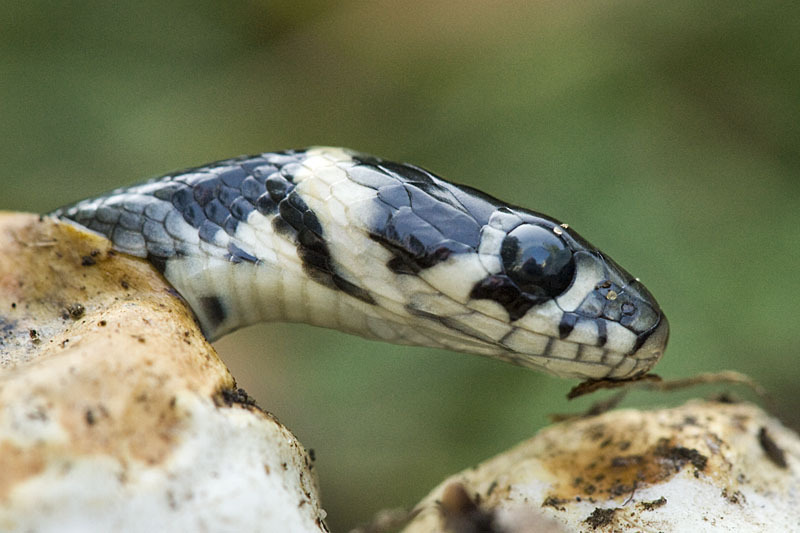 Scientists studied the DNA of 1600 samples (taken from shed skins, saliva samples, road kill tissue and museum specimens) and have proposed that there is sufficient genetic difference to divide the previous grass snake, Natrix natrix, into two species – N. natrix and N. helvetica. N. helvetica is found in western europe including the UK and will have the new common name of barred grass snake, whilst N. natrix, the eastern grass snake, is found further east, with the divide running roughly through the Rhine valley in Germany. The photographs were taken in my compost heap where they have often bred, enjoying the heat from the rotting grass clippings.